The CIAA North reigned supreme on the first day of the women’s tournament. The first day of the women’s CIAA Tournament was heavily tilted in favor of the Northern Division. 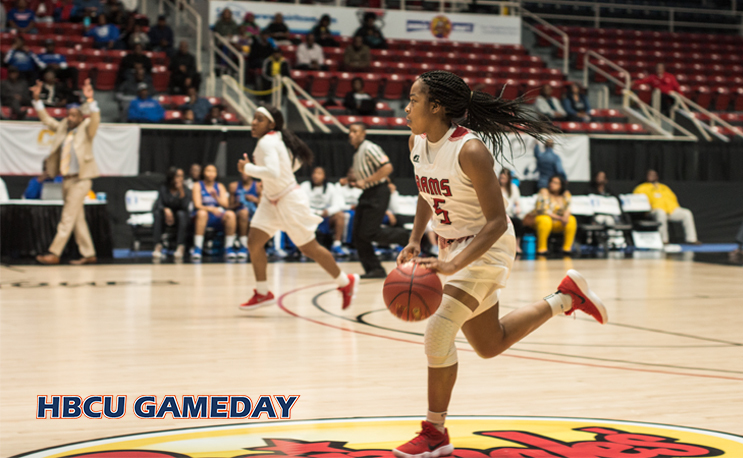 Three of the four women’s games went in favor of the CIAA’s top division, with Winston-Salem State being the lone winner from the South. First Bowie State beat Shaw 56-47, sending it home to Raleigh in the first round for the second year in a row. Kyah Proctor scored 19 points in the win. BSU will face Fayetteville State on Thursday in the Spectrum Center. Next, it was Lincoln beating Livingstone 78-58. Shahra Madison led the way with 16 points and eight rebounds. Lincoln will take on defending champion Johnson C. Smith Thursday in the Spectrum Center. Chowan figured to keep the North’s streak alive, and it did, but not nearly as cleanly as it would like. A scrappy St. Aug team fought to the end but fell 75-70 to Chowan. WSSU came out strong early and never looked back, beating Elizabeth City State 87-67 in the opening round. The Lady Rams jumped out to a 21-11 lead in the first quarter to set the pace. Candace Tate had 24 points and 12 rebounds in the win. WSSU will take on Virginia State, the second ranked team in the North, on Thursday in the Spectrum Center.